Bring the New EcoBoost Mk7.5 Fiesta 1.0 Turbo to life with the brand new edition Street Legal Flexi Sports Cat from Pumaspeed and Milltek Sport Exhausts. The OE pipe has a huge restriction, this 200 Cell Sports Cat is a full 57mm bore and allows Full Flow and full Power for all 100PS and 125PS engines and maintains full street legallity. The Pumaspeed Demo car runs the Milltek Large Bore Downpipe and De Cat and develops over 35% more torque and over 155bhp as a result. The Pumaspeed Workshop team are ready to fit the Milltek Sport Fiesta Mk8 1.0 EcoBoost Large Bore Downpipe and Hi-Flow Sports Cat in our Head Office located here. Therefore making parts and labour a total cost £703.49 (inc. VAT). 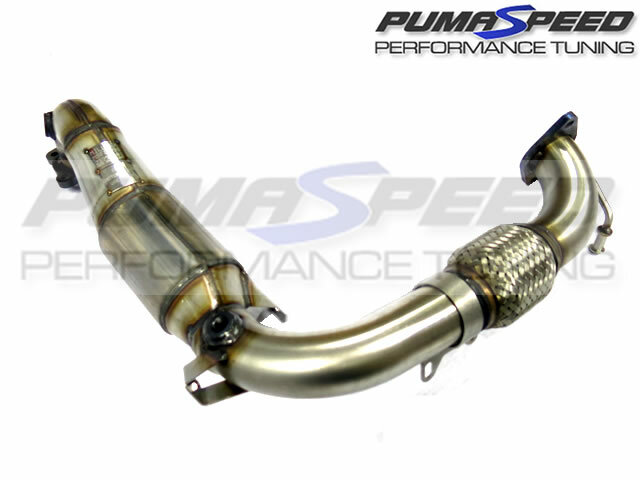 Pumaspeed have a specialist distribution team that can dispatch the Milltek Sport Fiesta Mk8 1.0 EcoBoost Large Bore Downpipe and Hi-Flow Sports Cat to any destination worldwide.